No credit checks, no application fee – just a small £2.95 monthly admin fee*. To apply for your card, click ‘Get My Card!’ then complete the short form (you’ll need your Union membership number to hand). Then, make a top up and you’ll receive your card within 14 working days. °Range of brands, levels of discounts and cashback are subject to change. * There are no credit checks, but as part of the application process we may use you details to confirm your identity. The Union Prepaid Plus Cashback card is FREE to apply for, you simply pay a monthly fee of £2.95. The first fee will be charged within 30 days of successful application. Did you know? 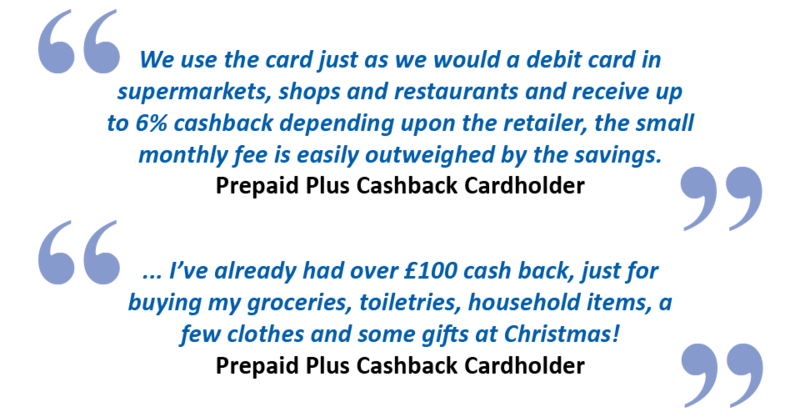 According to the Office for National Statistics, UK families on average spend over £6,000 a year on food, drinks, eating out and clothing (see source). Think how much you could earn in a year with 2.5 to 6% cashback at over 50 major retailers!